Happy Tuesday! Today I wanted to share some adorable dresses for Easter that are all under $100! 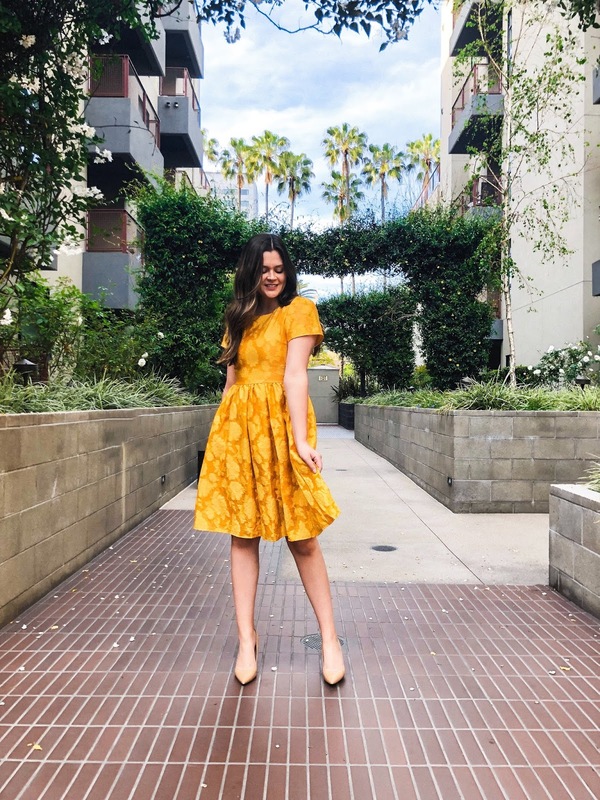 The dress I'm wearing in this post isn't available anymore I believe because Rachel Parcell is switching all of her clothes over to Nordstrom. Her dresses and Gal Meets Glam dresses would be perfect for Easter/Spring events but I didn't include them in this particular post because they are over $100. Oh and I linked in the shopable pictures below the shoes I'm wearing! Little side story Kyle and I went hiking over the weekend and I saw a snake! I didn't think I was that afraid of snakes till I was face to face with one. Okay, face to face might be a little dramatic but it was facing us on a very narrow trail. I screamed and scared it away but I made Kyle carry me piggyback for the next 10-15 min lol. Also, pretty sure it was a gardener snake or another harmless snake but wow did it scare me. Anyways, just wanted to share a funny yet frightening lol story from our weekend! Hope you all had a good weekend too!